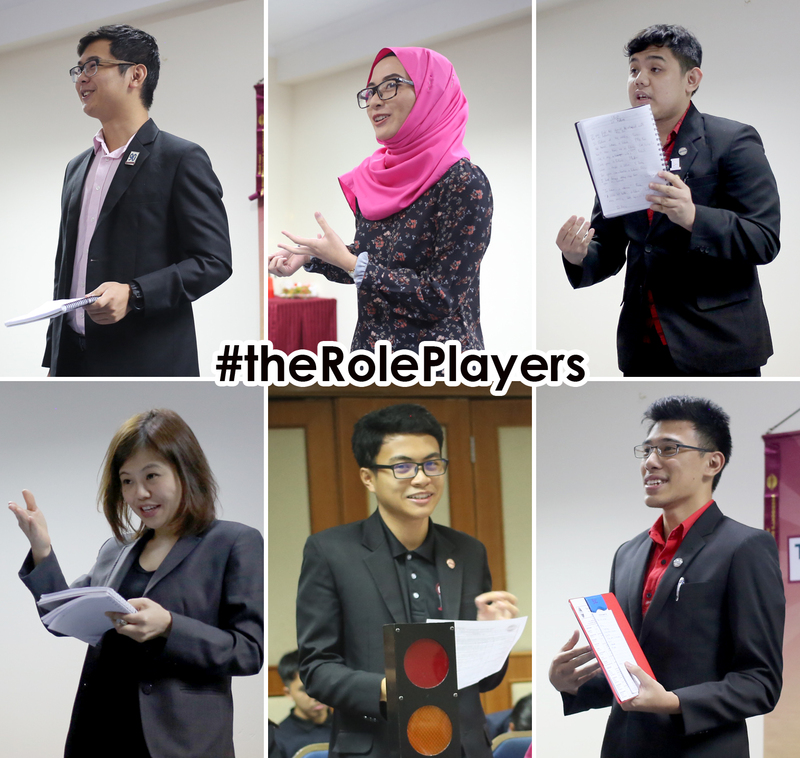 There is a saying that the third time’s the charm and it certainly was for our Sergeant-at-Arms, TM Awfa Nawawi. For the third time this term, she charmingly welcomed our members and guests, including Yifung from the National University of Singapore Toastmasters Club, Rob from Universiti Brunei Darussalam, Derby who is back from Korea and Natasha who was supporting her friend, the Toastmaster of the Evening! Word of the Day is ‘In Futuro’. This adverb and adjective means ‘in the future’. Timer & Tip – Farhan Jafar Ali, CC, ALB, who reminded us to be mindful that the time we spend on stage is also the time spent by the audience. Therefore, we should make the best out of every word, pause and performance. 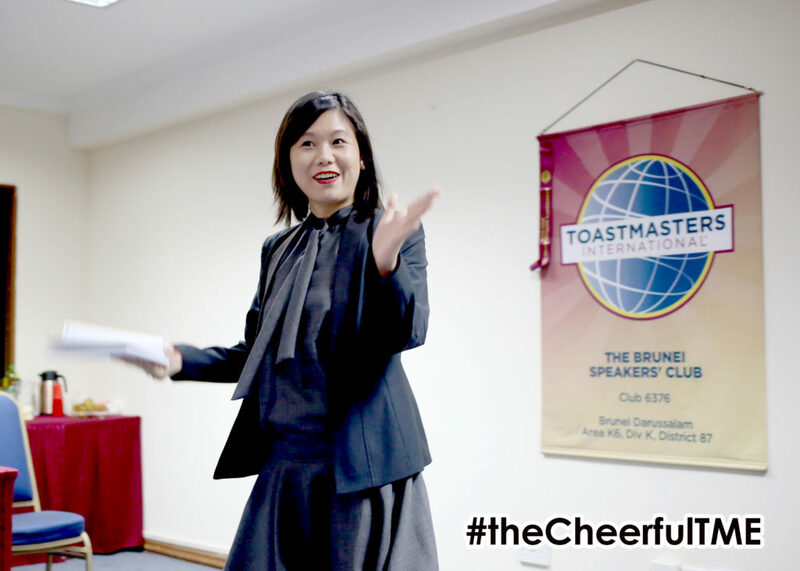 ‘Carpe Diem’, ‘Seize the day’ and YOLO (You Only Live Once) – Our Toastmaster of the Evening informed us that these can be great motivators but they can also be abused to support unwise decisions, such as profligate spendings. Her tip? Be prudent. The line up of speakers for the day consisted of seasoned members of the Brunei Speakers Club. 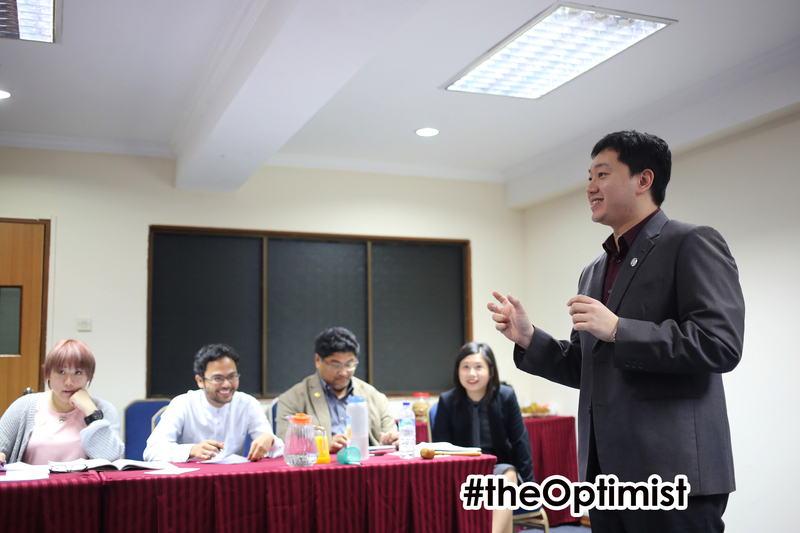 First up was Jordan Yau, CL who delivered his CC7 project focused on research entitled ‘Comparative Optimism’. A professor in Psychology, Suzanne Segerstrom, had gathered that those who are optimistic are more likely to succeed. However, Jordan warned us of the flipside of comparative optimism. First, it may drive people to be stubborn, refusing to accept advice. Secondly, it encourages people to undertake unnecessary risks, such as when Jordan decided to bring his $800 water ‘resistant’ phone to his diving adventure, which eventually turned into an $800 wet brick after. Finally, it offers an illusion of control to people. A prevalent example is a driver who chooses not to wear a seat belt because he or she feels in control and doubts an accident would happen. These behaviours stemming from comparative optimism are supported by the findings of prolific scholars in psychology such as Nobel prize winner Daniel Kahnemann, who found that people are biased to listen to themselves more and negate information that don’t support their beliefs. In light of these, Jordan advised us to be optimistic the smart way and to not lie to ourselves. In his CC9 project ‘Travel Often’, Gerald Goh, CL persuaded the audience not to succumb to daily routine when there is a much more appealing alternative – to live, learn and evolve. He believes that these can be attained by travelling, which he could attest to from many personal experiences. In Taiwan, his relentless conquest for beef noodles forced him to speak Mandarin to strangers more than he was initially comfortable with, which expanded his comfort zone. In Japan, he was awestruck by the engineering marvels and the Japanese way of living, including their timely public transport, sushi crafted with such skill, and the ingenuity of the design of their ancient castles. Somewhere closer to home, in Bangkok, he learnt how to cook mouthwatering pad thai, green curry and tom yam through a local cooking class. However, some people may still have reservations which Gerald tackled head on. Money holding you back? Gerald informed us of a finding by a Cornell psychology professor, Thomas Gilovich, which suggested that the gratification achieved from travelling is more everlasting than that from purchasing material goods. No time to travel? Find time by converting the time spent on routines to travel and using paid leave days lest they got to waste. Gerald hammered his point for us to travel often, reminding us that ‘You are waiting to see the world but the world is waiting to see you’. The Prepared Speeches section ended on a humorous note with Rahul Breh, CC delivering his ACB1 project ‘From Engineers with Love’ from the Humorously Speaking manual. He drove the audience temporarily insane with entertaining stories of falling in love and staying married, all the while combatting general stereotypes people have of engineers – technical, hardworking, geeky and problem solvers. He asserted that engineers are not technical – they are medieval. For instance, he had not seen his would-be wife but had merely heard her beautiful voice at 440MHz, sourcing from 45° longitude and 35° latitude (a description which eventually disintegrated into medieval gestures in order for it to be comprehensible to his friend) before falling in love with her. He also reasoned that engineers are not hardworking – they are only lucky. After all, he likens himself to an asymptote curve and his wife to the X- and Y- axes, lines fated by mathematics to never meet. They still did, thanks to his lucky stars. Rahul also believed that engineers are not geeky and problem solvers – they are crazy and evolvers. He demonstrated this by showing how an engineer could apply the OR gate concept to relationships, interpreting and condensing the logic into a single guideline that would help maintain his relationship – the wife is always right. 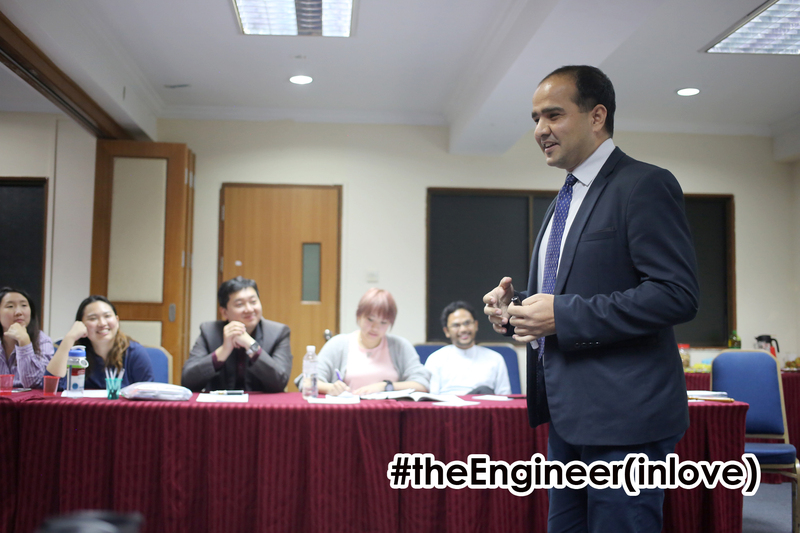 Ultimately, Rahul had, in a ridiculous yet somewhat logical fashion, debunked the myths surrounding the stereotypes of engineers. After the break, the Table Topics Master, TM Dalton Lim, presented some questions related to the theme of providence. Pranika Lama, ACB, ALB had to ponder about how she would make her other half happy for the rest of her life. She thought about how she could make other people happy in general and realized that it is when she is not angry at them, which she could extend to her future spouse. 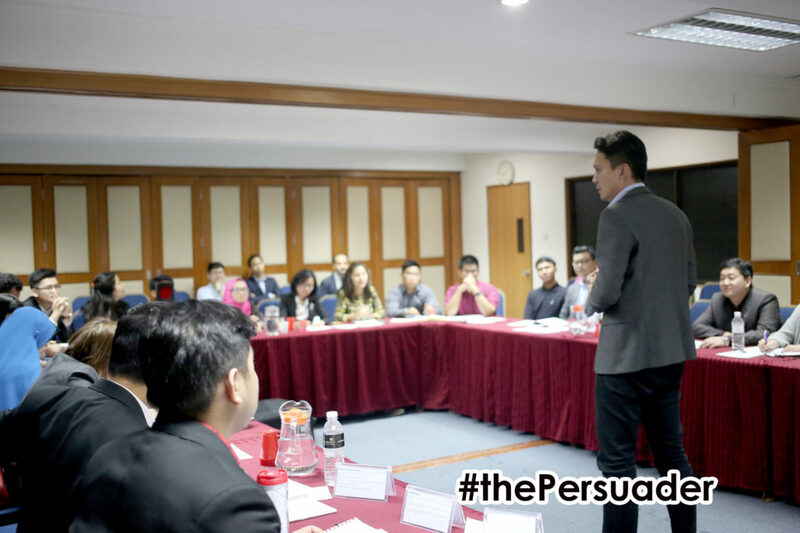 Our guest from Singapore, Yifung, was faced with a dilemma on whether he would save for a jet or for a cruise. He would rather save for a wife and not spend money on unnecessary objects of opulence. However, if he had to choose, he would opt for a cruise to better appreciate Brunei’s magnificent sunsets. He is eager to receive the cheque for his cruise from Dalton soon. For TM Jack Chin, he had to think about what to do if he just remembered that it was his wedding anniversary. His initial intuition is to do nothing – nothing fancy at least. Finally, he decided he would clear his time slot and accompany his hypothetical spouse. 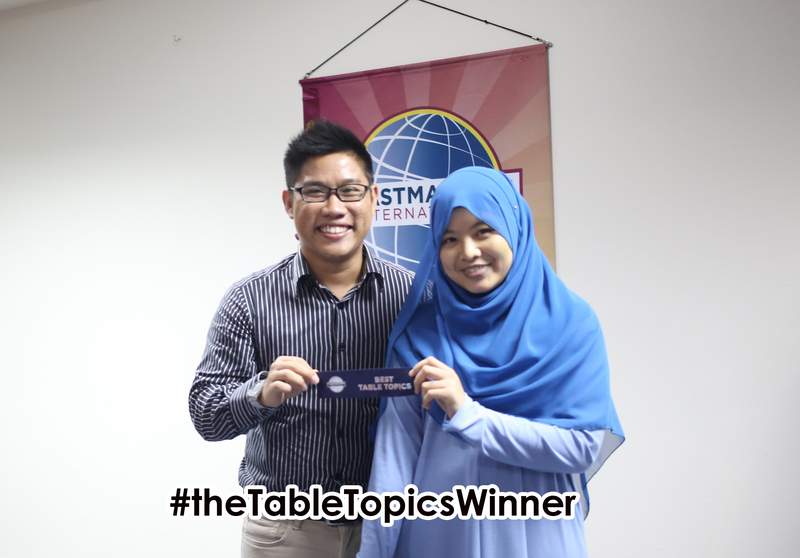 TM Rahmat was faced with the question on whether she believed in preparation for children’s education. She informed the audience that she is not prepared to have children, let alone think about preparing for children’s education. She does believe that preparation in life is important but if people are not ready for that kind of commitment, they could get a cat which is relatively low maintenance! What’s in a name? – People tend to feel more valued when their names are remembered or pronounced properly. Take care to recall them correctly in a speech and cue cards can come to the rescue here! 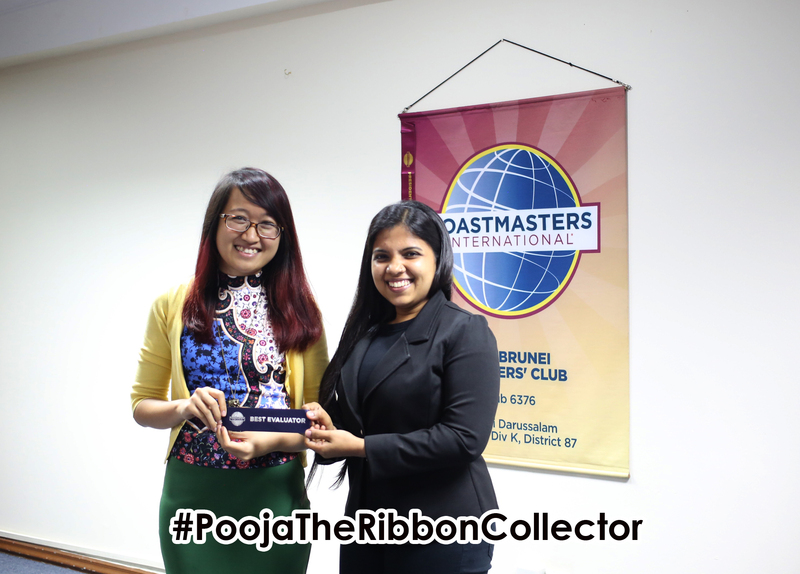 Brunei Speakers Club enjoys lauding people for outstanding performances and tonight, the audience acknowledged Yifung as the best Table Topics speaker and Pooja Shivanand, CC, CL as the best evaluator of the evening! All in all, it was an excellent night of fun-filled laughter and food for thought. The Club’s dedication to develop itself and its members to higher ground, as well as its warmth, makes it an excellent club to be part of, as attested by some members and guests that evening. Grow together with our club and be part of the camaraderie!